Does it get much better than homemade pizza? If you can get the base crispy enough that is. I have been working on my dough and tomato sauce recipe for some time and I think I have finally cracked it. I make the dough fresh then divide it up and freeze in individual bags so I can have pizza whenever. 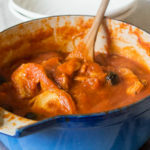 The tomato sauce is made from obscenely ripe tomatoes for richness and sweetness. 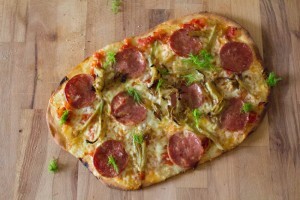 Caramelised fennel and salami pizza is the best pizza topping I have tried so far! Make the dough by mixing together the flour, salt, yeast and sugar. Pour in the olive oil then add the warm water. Knead for 10 minutes then leave for an hour or so until doubled in size. Divide into four, you can freeze what you don’t use. Next make the tomato sauce. Add the onion with a little olive oil to a frying pan over a low to medium heat and leave to soften for around 15 minutes. Add the garlic and cook for a few minutes more then stir in the diced tomatoes. Put a lid on the pan and leave to cook for about 10 minutes then remove the lid, turn the heat up and continue cooking until thickened. Add salt and pepper to taste then blend the sauce. Add the fennel with a good glug of olive oil to a small lidded pan and leave over a low heat for at least 30 minutes or until well softened. Stir occasionally. Remove the lid from the pan and stir in the sugar. Continue to stir until evenly coated and caramelised. Preheat an oven to 240C. Roll the pizza dough out on a floured surface so that it fits a large baking tray. Lightly flour the baking tray and put the dough on top. Spread the tomato sauce over the base before covering with the sliced mozzarella, fennel and salami. Bake in the oven for 8-10 minutes or until the cheese has melted and the edges and base are crispy. I wish I had the space to make batches of this tomato sauce and freeze it with the pizza bases but a bag of peas and three bags of dough is all I can manage. The sweetness and freshness of the sauce is divine and if you get the base lovely and crispy the textures are fantastic together. I like the milkiness that comes from the mozzarella and that some bits are stringy while others are crisp. The salami I used for this was from a brilliant local curer who used green peppercorns and white wine. The fennel was soft and sticky and gave a faint aniseed flavour without being overpowering. The best pizza I’ve ever made. My mouth is watering just looking at the pictures. It looks divine. I’ve tried freezing the dough too, it works really well. In fact I need to make another batch, then I can try out your topping. 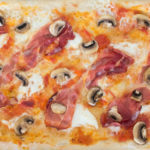 that really sounds and looks utterly divine… I am in Italy right now (off to a buffalo mozzarella farm today) and we’ve had some stunning pizza but yours honestly looks truly wonderful.. love your dough recipe, I must try that! I need to say that this morning, when I’ve opened my email and I’ve read “caramelized fennel” I’ve had some doubts about the idea…. After reading the recipe and seing the pics…. I don’t have any!!! 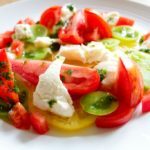 Would it be possible to caramelize other herbs such as rosemary or basil? This sounds like a delicious topping combination. 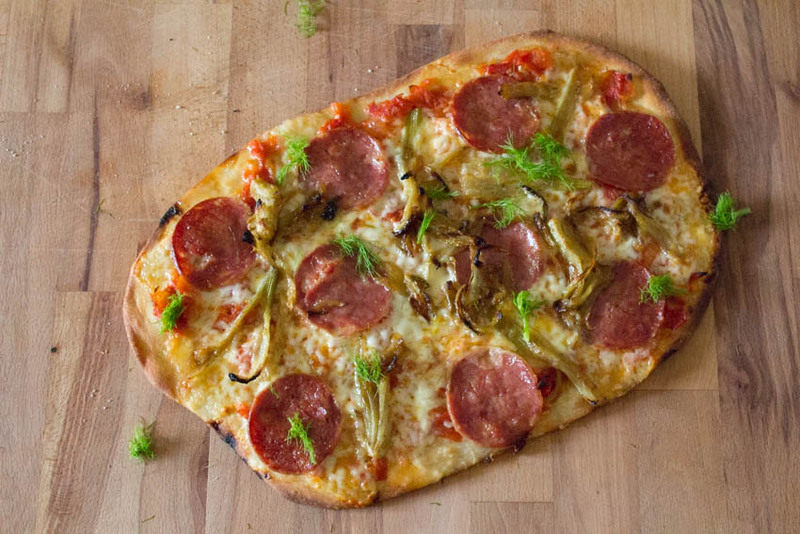 I’ve never used fennel on pizza before, but I definitely will now! Home made pizza is by far the best pizza. This one made my mouth literally water. I love fennel! Never had it on a pizza before. But you can bet I will — thanks. caramelized fennel sounds great! and while i don’t think i’ve ever seen salami on a pizza, it’s a magical idea! Wow, i’ve never caramelized fennel before, sounds pretty superb!!! 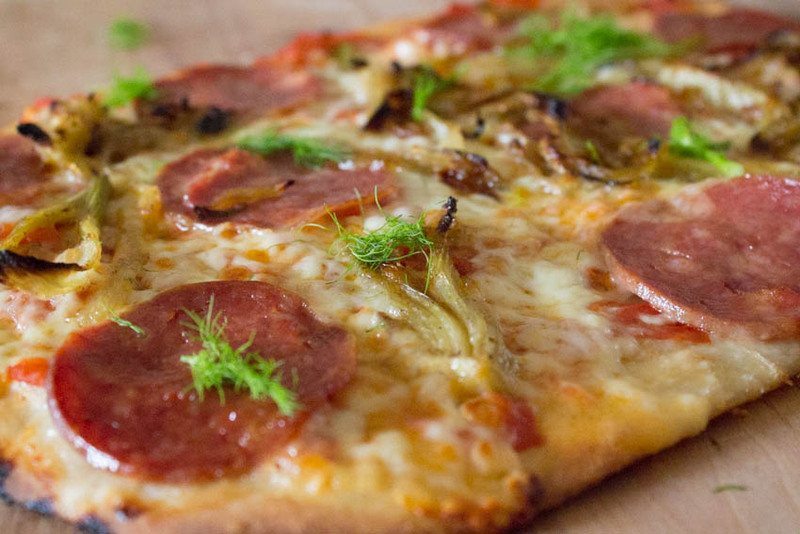 eversince i love caramelized onion and i love fennes, i think i’m gonna adore caramelized fennel on my pizza….